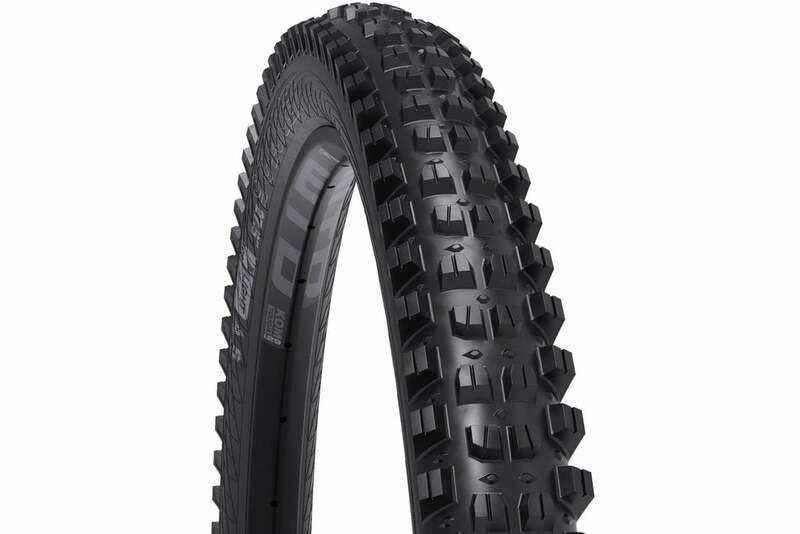 Billed as the tire for, “days where relentless traction takes priority over rolling efficiency”, the new Verdict and Verdict Wet are the latest, extremely chucking looking tires from WTB. The Verdict and Verdict Wet feature WTB’s TriTec compound and have a very wide knob spacing to allow the tire to clear mud quickly while enhancing traction. Designed as a front-specific tire, WTB recommends matching the Verdict with their Judge tire in the rear. The Verdict Wet features slightly higher center knobs for added traction in wet conditions. Both the Verdict and Verdict Wet come in 29 and 27.5 sizes. A single width of 2.5″ is available. The Verdict will have two casing options while the Verdict Wet will only be available in TCS Tough, which is WTB’s heaviest casing. The TCS Light Verdict tires feature Slash Guard technology, which incorporates a protective nylon insert spanning the entire sidewall to provide extra protection without the weight of a dual ply casing.